Oh, how sweet freedom is. If you’ve ever been accused of a crime or spent any time in prison, you understand how important your freedom is. And, if you are being considered for parole, being accused of a crime, or if your parole is in jeopardy of being revoked, you know that your freedom hinges on what happens next. That’s why you need to contact the experienced Houston criminal defense and parole attorneys at Topek & Topek, Attorneys at Law. At Topek & Topek, we represent clients who are seeking parole, who have been accused of violating parole or probation terms, and who have been accused of committing crimes. Topek & Topek: three generations of Texas criminal defense lawyers. Topek & Topek is a three-generational legal firm of University of Texas Law School graduates. Over the decades, we have worked with many clients accused of criminal acts. Our experience runs deep. D. Aaron Topek founded the firm many years ago, and his son, E. Stanley Topek, currently the firm’s senior member, is a former Assistant District Attorney for Harris County. He is board certified in criminal law by the Texas Board of Legal Specialization and he is AV rated by Martin Dale Hubbell. 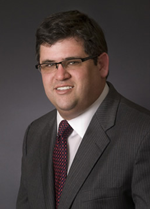 His son, Seth Topek, has helped clients with their criminal law matters since graduating from law school in 2005. Our father-son duo offers personal attention, a full-service experience, and straight-forward advice. Too many criminal lawyers operate “high volume” practices. These lawyers sign up a lot of clients, spend as little time as possible working on the matters, and then encourage the clients to take deals to get the cases resolved as quickly as possible. The criminal defense lawyers at Topek & Topek take the opposite approach. We would never encourage a client to plead guilty or to take an unsatisfactory deal just to close the case. We provide zealous representation from start to finish. We also devote significant time to each client. We travel across the state to visit with incarcerated clients. We fully investigate each case; we even go to police headquarters to inspect evidence. We are committed to being easy to reach. We take calls and we return calls in a timely manner twenty-four hours a day. We believe in keeping clients informed! And, on that note, we firmly believe in honesty. We don’t tell clients what they want to hear. Instead, we offer straight-forward advice. After all, if you find yourself in need of a criminal defense lawyer or a parole attorney, you need someone to tell you where you stand and what your options are. We help clients in every stage of the criminal law process. Our cases fall into two main categories. 1. We help clients throughout the parole process and with parole or probation revocations. Our Texas parole lawyers advocate for clients eligible for parole. We begin by meeting our new clients in person, no matter where in the state they are located. Then, we develop a plan that is uniquely tailored for that client. We compile information and create a comprehensive presentation that we will deliver in person to the decision makers. Having the skilled Texas parole attorneys at Topek & Topek prepare a relevant and persuasive argument can be invaluable to a parole candidate. In fact, it may be the critical factor in getting the outcome the client desires. We also help clients who face parole or probation revocation because they have been accused of not complying with certain requirements. We defend these clients against the allegations they face, and we work hard to persuade the decision makers that these clients deserve to remain free. 2. We represent clients who have been charged with crimes. Being accused of a crime is stressful and frightening. The accused often faces serious consequences. At Topek & Topek, our Houston criminal defense attorneys are dedicated to protecting the rights of our clients and getting the best possible results. Contact our Houston, Texas, criminal defense attorneys for help. If you’ve been charged with a crime, accused of violating the conditions of your parole or probation, received notice that you are eligible for parole, or are worried about a family member facing a similar scenario, you need an accomplished Texas criminal lawyer on your side. Call the experienced father-son team at Topek & Topek, Attorneys at Law. We will work diligently to get the outcome you desire. We represent clients seeking parole across Texas. We also represent clients in criminal proceedings in the counties of Harris, Galveston, Fort Bend, Brazoria, Montgomery, Wharton, Colorado, Waller, Liberty, and Washington. You may reach us by filling out an online form or by calling (888) 661-5030. The Texas criminal defense and parole attorneys at Topek & Topek, Attorneys at Law, help clients with all stages of the parole process. The experienced father-son team at Topek & Topek, Attorneys at Law, works with people accused of theft, burglary, and assault crimes to get them the best results possible. The Houston, Texas criminal defense attorneys at Topek & Topek, Attorneys at Law, help clients fight drug charges. The Texas criminal defense attorneys at Topek & Topek, Attorneys at Law, help clients who face probation revocation.